Thanksgiving In Wine Country Weekend Tasting Room Hours: Friday 11 am - 5 pm, Saturday 11 am - 4 pm. $10 tasting fee per person, includes logo wine glass and a portion of tasting fee is donated. 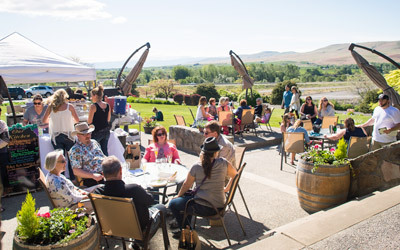 Join Yakima Valley wineries during Thanksgiving weekend for fine wines, food offerings and special deals while donating to Northwest Harvest to fight hunger. 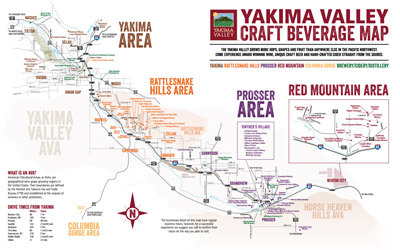 Savor this Yakima Valley tradition on the day after Thanksgiving and through the weekend with a beautiful scenic drive to Washington wine country. 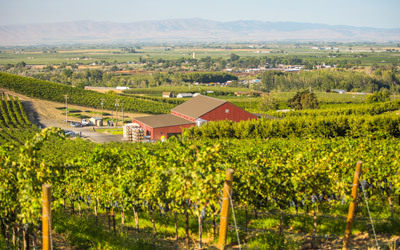 Learn from the wine-makers and chefs why particular Yakima Valley wines pair well with the sauces, seasonings and flavors of the traditional Thanksgiving culinary delights. Join our winemakers for a memorable Thanksgiving in Wine Country weekend.